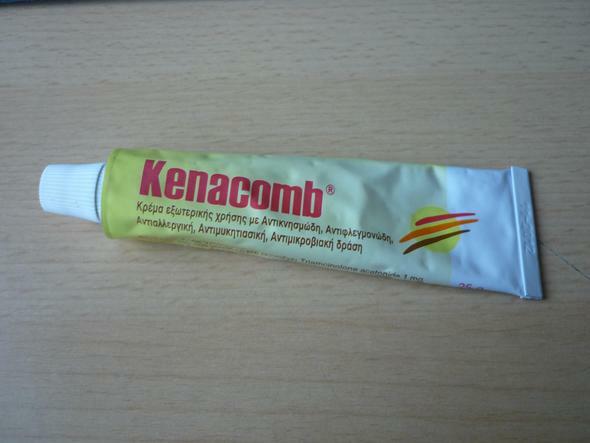 Base: Perfumed vanishing cream for Kenacomb Gleam and plaslibase to< tile Ointment (poIyelh~ene minefal oil gel base). dermatoses likely to become or are already Infected. Apply a thin film to affected area 2 to 3 times daily. These products are not for children under one year of age (see 5ecfion Wamings and Precaufioos). Corticosteroids shOOfd be used sparingly and for short periods of time, as natural thinning of tile skin occurs in the eklerty. If, atter about 7 days application, little Of no improvement has occurred, cutturallsolation of the offending organism should be followed by appropriate local or systemic antimicrobial therapy. There are no relevant data available. Adrenal suppression can occur, even without occlusion. The use of occlusive dressings should be avoided because of the increased risk of sensitlvtty reactions and increased percutaneous absorption. consideration especially in the treatment of patients suffering from leg uicm. The product should be used with caution and in small amounts in the treatment of skin infections following extensive burns trophic ulceration and other conditions where absorption of neomycin Is possible. Steroid-antibiotic combinations should not be continued for more than 7 days in the absence of any clinical improvement, since in this situation occult extension of infection may occur due to the masking effect of the steroid. Extended or recurrent appllcatlon may increase the risk of contact sensitisation and should be avoided. If used in childhood, or on the face, courses should be limited to 5 days and occlusion should not be used. Contact with the eyes or mucous membranes should be avoided. Should not be used for taclal rosacea, acne vulgaris or perioral dermatitls. with perforated eardrums. The products should oot be used for extensive areas because of possible risk of systemic absorption and neomycin-induced ototoxicity. 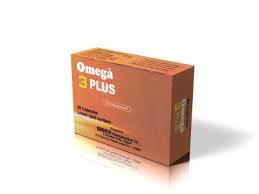 – Special populations The product should be used with care in patients with established hearing loss. with an effective therapeutic regimen. These patients should be closely monitored fOf signs and symptoms of systemic effects. larger skin surface area to body weight ratio. HPA axis suppression, Cushing’s syndrome, and intracranial hypertension have been reported in children receiving topical corticosteroid (see Section Adverse Reactions). benefit outweighs the potential risk. There is inadequate evidence of safety In human pregnancy. Topical administration of corticosterolds to pregnant animals can cause abnormalities of foetal development including cleft palate and Intra-uterine growth retardation. There may, therefore, be a very small risk of such effects in the human foetus. There are theoretical risks of neomycin-Induced foetal ototoxicity. These products should be used with caution only when the benefit outweighs the potential risk. Topically applied corticcateroids and neomycin can be absorbed in sufficient amounts to produce systemic effects (see Section AilverseReactk>ns). In the event of accidental ingestion, the patient should be observed and treated symptomaticalty. Triamcinolone acetonide is a potent fluorinated corticosteroid with rapid anti- inflammatory, antipruritic and anti-allergic actions. The combined action of the antibiotics neomycin and gramicidin provides comprehensive antibacterial therapy against a wide range of Gram-positive and Gram-negative bacteria, including those micro-organisms responsible fOf most bacterial skin infections. of yeasts and yeast-like fungi, including candida albicans. is determined by many factors ioduding me vehicle, the integrity of the epidermal barrier. and the use of occlusive dressings. Once absorbed through the skin, topical corticosteroid are handled through the same pharmacokinetic pathway as systemically administered corticosterolds. Corticosteroids are bound to plasma proteins in varying degrees. Corticosterolds are metabolized primarily in the liver and are then excreted by the kidneys. SOme of the topical corticosteroids and their metabolites are also excreted Into the bile. Once neomycin is absorbed. it is rapidly excreted unchanged through the kidneys. The half-life is approximately 2-3 hours. Store at temperature not exceeding 300 C in a dry place. SmithKline Beecham, El Haram, EL Giza.